Gippy Grewal is the famous singer and the actor of Pollywood. Back to back he has not only given hit songs to the Punjabi Music Industry but has also given hit movies to our audience. He mesmerizes the punjabi audience every time not only with singing but also with his acting skills. 1. MIRZA-THE UNTOLD STORY It was the Punjabi action romance film released in 2012. It was written and directed by Baljit Singh Deo. The film features Gippy Grewal , Mandy Takhar in the leading role with music repper Honey singh. This movie was produced by Inda Raikoti and Aman Khatkar. This movie won eight awards at 3rd PTC Punjabi Film Awards in 2013. 2. JIHNE MERA DIL LUTEYA This movie was released in 2011 and was liked by the audience. This movie was directed by Mandeep Kumar. The story and screenplay by Dheeraj Rattan. It was produced by Batra Showbiz Pvt. Ltd. The film features Gippy Grewal, Neeru Bajwa, Diljit Dosanjh, Binnu Dhillon. This movie saw the biggest opening day, weekend and week ever for a Punjabi movie at the time of release. It had an opening week of Rs 26.5 million in Punjab. 3. CARRY ON JATTA This is the Indian Comedy Film that is directed by Smeep Kang. Starring Gippy Grewal and Mahie Gill in lead roles. This film was released on 27th July,2012. This movie had the second highest opening for a Punjabi film in Punjab that is with Rs. 61 lakh net on its opening day. 4. LUCKY DI UNLUCKY STORY It is 2013 released Punjabi Comedy Film that was directed by Smeep Kang featuring Gippy Grewal, Jaswinder Bhalla, Gurpreet Ghuggi and Binnu Dhillon in the leadind role. This entire cast came in Carry on Jatta. This was released on 26 April 2013. 5. JATT JAMES BOND This movie was directed by Rohit Jugraj, starring Gippy Grewal and Zareen Khan in leadind role along with Gurpreet Ghuggi. This movie marks the debut of the Bollywood actress Zareen Khan in Pollywood. The music for this movie was given by Jatinder Shah. It was released in the theaters on 25 April 2014. 6. 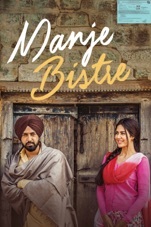 MANJE BISTRE Manje Bistre is full family entertainment movie with lot of comedy and drama. The film features Gippy Grewal, Sonam Bajwa , Karamjit Anmol and Jaggi Singh. The dialogues were wriiten by Rana Ranbir and story and screenplay was written by Singer Gippy Grewal itself. This comedy movie was directed by Baljit Singh Deo. 7. SINGH V/S KAUR It is the Punjabi romantic comedy film starring Gippy Grewal, Surveen Chawla, Japji Khaira and Binnu Dhillon as leading roles.Singh vs Kaur was released on 15 February 2013 in the theaters .Gippy Grewal was seen in a turbaned avatar for the first time.The film was produced by multi-lingual producer D. Ramanaidu. 8. BHAJI IN PROBLEM Bhaji in Problem was released in 2013 . It is an Indian Punjabi-language comedy film that was directed by Smeep Kang, who had earlier worked with Gippy Grewal in the film like Carry on Jatta and Lucky Di Unlucky Story, both of which featured Gippy Grewal in the lead role. Grewal also appears in this film, along with the cast Ragini Khanna, Gurpreet Ghuggi, B.N. Sharma, Karamjit Anmol, Japji Khaira, Khushboo Grewal and Misha Bajwa . The film is produced by Ashvini Yardi, and Bollywood actor Akshay Kumar who also appears in the film shortly, enacting as a look alike of himself. 9. SUBEDAR JOGINDER SINGH This movie was released on 6th April 2018 and was a Punjabi war film that was based on the life of Joginder Singh, an Indian soldier who was killed in the 1962.This war movie was produced by Saga Music . The film stars Gippy Grewal , Aditi Sharma, Kulwinder Billa, Karamjit Anmol and was directed by Simerjit Singh. 10. CARRY ON JATTA 2 This was the latest release of Gippy Grewal in 2018. It is an Indian Punjabi comedy film that was directed by Smeep Kang. It is the sequel to the 2012 film, Carry On Jatta with Gippy Grewal, Gurpreet Ghuggi, Binnu Dhillon, Jaswinder Bhalla, B.N. Sharma and Karamjit Anmol seen on the screen in the second instalment. The film has Sonam Bajwa as the leading role female, Upasana Singh and Jyotii Sethi.